In my second year of college at the University of North Texas, we as a club went and played a friendly for another men’s club. We stepped in and played for the Midland Muddogs against the Frisco Griffins (club name at that time). It was a friendly match against two Division two teams. It was a sunny Saturday, around 2:00pm, typical rugby weather. It had been a very physical game. Before going into the match, our club coach told the team captain of the team we were helping out that I was a hard runner. I quickly became the workhorse of the match. It was closing in on the end of the first half, I went in for a tackle behind the gain line. It was a solid hit, and forced the offense to re-establish themselves. 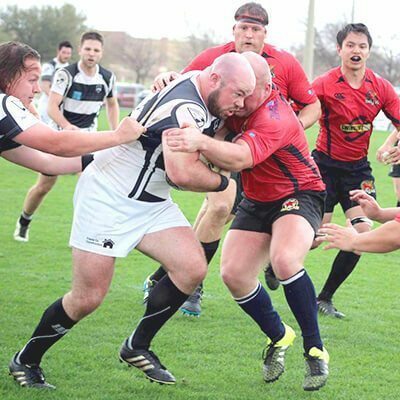 As I was rolling away from the tackle, the ruck was forming and in the commotion of the ruck, a sharp pain hit me. It felt like I was struck in the scrotum by a professional level kicker. Turns out, I had cut my scrotum 3 inches along the right testicle. Everything stayed intact. The doctor cleaned it, glued the skin back together with a special form of glue used for the skin, wrapped it with gauze, applied a light taping around my scrotum to hold the gauze (even though the gauze pads used had glue on the back of them) and sent me back on. I completed the game, scored 2 tries from the Lock position, and gave the gentlemen who stepped on me a proper outing once I stepped back on. After the match I went to the hospital where I was treated for a more permanent healing. I was given the options of removal if necessary (they always start with the worst option, don’t they? ), stitches, or a stronger adhesive than what was applied and actually helps the skin grow. I obviously went with removal (totally kidding), I went with the 3rd option. After keeping the entirety of my man hood in a plastic bag for a week, no activity, and my testicles swelling to the size of apples, I was totally good! No scare, no tear, nothing. I was all good to go. That was, until 2 seasons later when the same thing happened all over again. Now I have a minor scar but still no long term damage and I’m still playing rugby to this day! I will be starting my ninth career season and I do not plan on stopping soon!